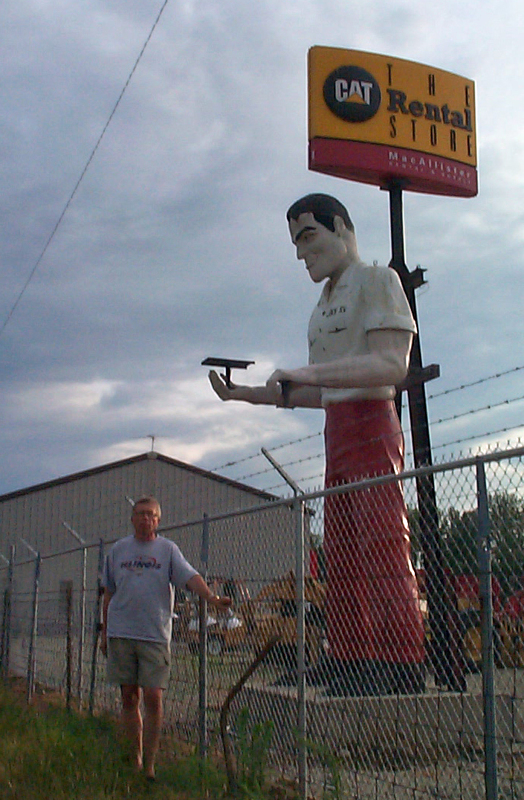 Julia’s Muffler Man – The Home of My "Big Things"
Julia spotted this big guy along side I-69 outside Muncie, Indiana. It was early in the morning and I was surprised that she was awake. We stopped on our way home from the Davidson cottage in Michigan to grab this image. MacAllister Rental at Exit 41 has this guy watching the traffic go by. Muncie, by the way, is the home of Ball State University. Update: I’ve driven by many times and he is well cared for, with new paint and moved closed to the storage building.